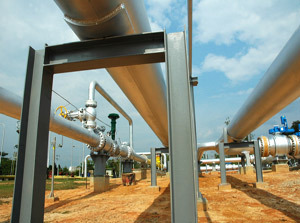 A unique and proven turbine metering solution for custody transfer meters operating on waxy crude. The innovative design with modified helical rotor and patented anti-fouling bearing eliminates wax, DRA & fibres fouling the bearing or coating the blades. The Heliflu is the proven custody transfer solution for a wide variety of of high accuracy measurements from light LPG to heavy crude oils. Designed to optimize hydrocarbon transfers for rail & truck loading for low to medium viscosity liquids. A true low cost solution with helical blade performance for low viscosity liquids. Faure Herman’s insertion turbine is ideal for large bore pipe-work where repeatable and accurate measurements are critical.